The temps dropped into the 20s (F) in the predawn hours and we keep our heat turned down low. Neither Jilda or I can sleep when it's hot. In fact, we have a box fan by our bed. It doesn't blow on us, but it keeps the air moving and the gentle drone of whispering air is like a sleep tonic. This morning when I rolled out of bed to start the coffee, it was downright chilly in the house. This is Caillou's kind of weather. He loves it cold. Taz the wonder Yorkie is just as bad, but Ol' Hook prefer's desert-like weather – the hotter the better. When I went back into the great room, I cranked up the fireplace. It only took a moment for Hook to be standing directly in front of the fire. His nose poked through the protective fire curtain for a moment. I think he wanted to go into the fireplace to get closer. I love a wood-burning fireplace, but Jilda's lungs, won't tolerate the smoke, so we settled for a propane fueled unit. It suits our purpose, I can say without hesitation, that Ol' Hook loves it. I love a good fireplace as well, especially wood burning. I even like hauling in the logs messing with kindling and starting it up. Currently we only use a gas faker. Reminds me of the RCA ad (for Victorola?) with the dog hearing his masters voice. I'm with Hook. I like the cold weather as long as I can stay warm. It's -9 .4 °F. here this morning. My water pipes were frozen at the barn. I had to use the heat gun to thaw the connections. I too like Ol'Hook love the heat. As a builder (long past) the 'real fireplace' was a great selling point. Now I understand it is not a PLUS for the realtor to mention. 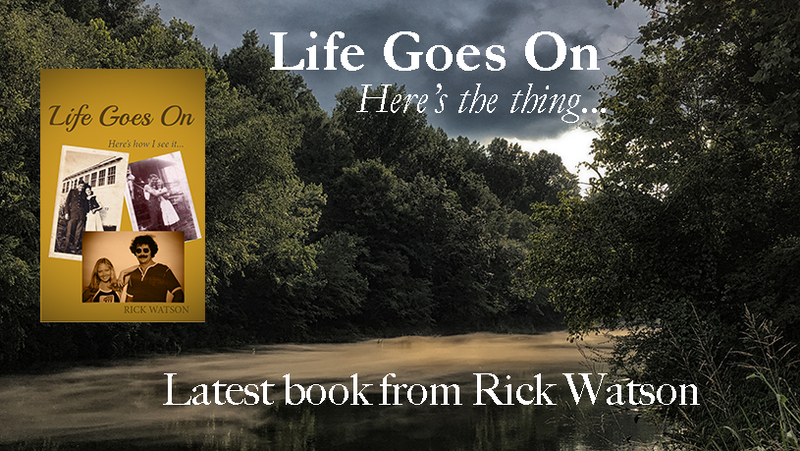 As I have heard, "Life Changes'. Snow your doggie must love to snuggle with you both on the bed and I bet under the covers. I love wood burning fireplaces and stoves. My former mom in law became allergic to wood and they lived in an area surrounded by trees. They also loved camping and she was bummed when she couldn't sit by the campfire. It is war, here today...+6 C today but will go down tomorrow and snow coming...we'll see. ... and would you look at that muscled chest? So glad y'all decided to adopt Hook. He looks like a happy, healthy fellow. Fire places make you feel so cozy. No wonder Hook feels good around it. By the way, what a cool name for a pet. 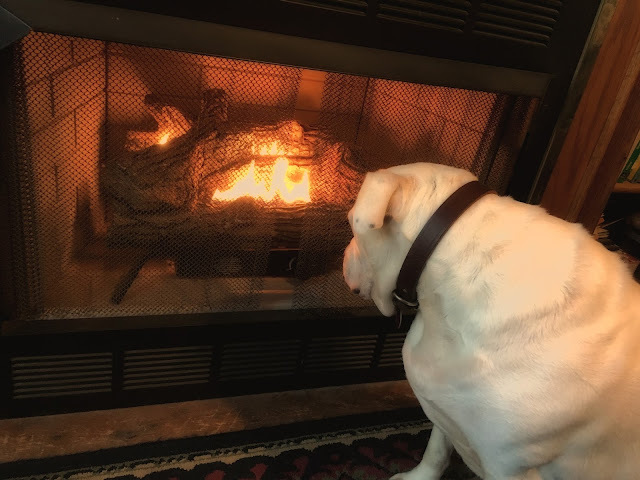 Ol' Janie loved the fireplace on snowy days in Maryland. Such wonderful smells from a wood burning fireplace! !